This past week, I was going through some pictures and came across a series of pics that I really liked of my Shih Tzu from this past winter. They were too good to keep to myself, so wanted to share them. She absolutely loves the snow, so come the first snow of the season she is constantly scratching on the back door to get outside to run in it and especially eat it. Because of her food allergies, that the best treat she is going to get! Man do we do love her though! 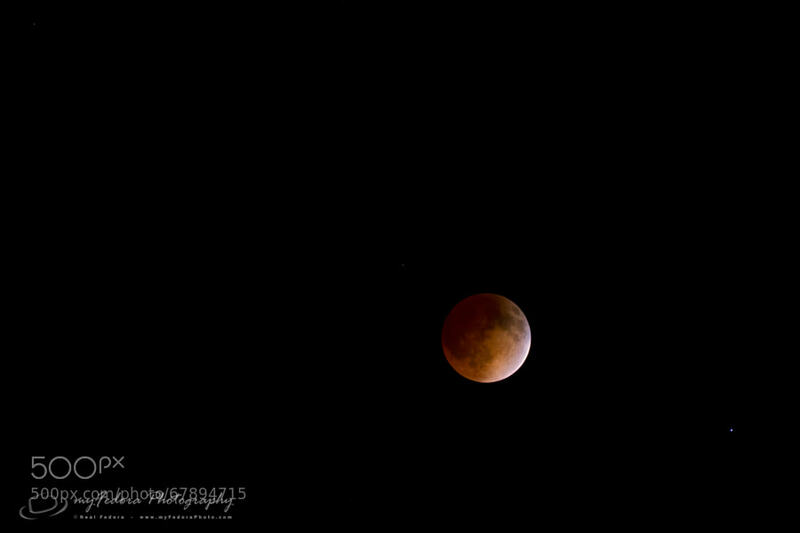 During the early morning hours of April 15, 2014, the world was exposed to the amazing sight of a total lunar eclipse. This was the first of four lunar eclipses (April 15th will be followed by another on October 8th, and again on April 4th and September 28th of next year) that we will have the pleasure of witnessing over the next year and a half. 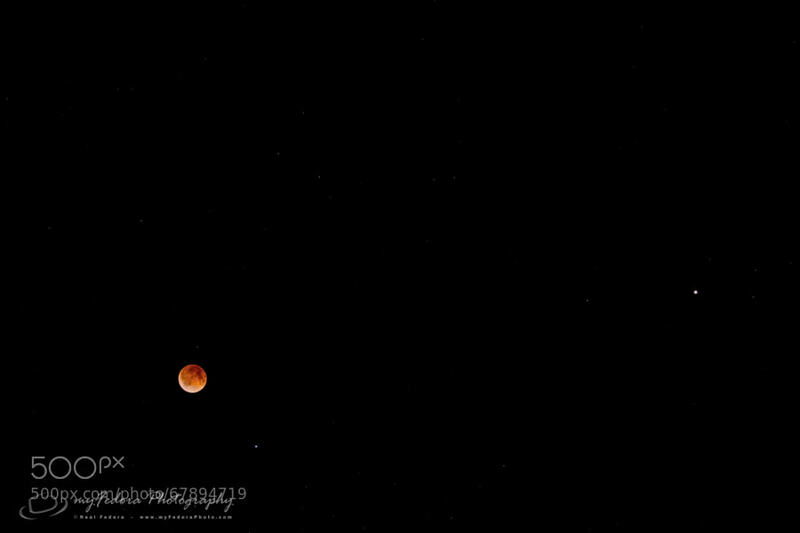 Never shooting the Moon, let alone a lunar eclipse before, my brother and I decided to brave the cold and sleep deprivation to enjoy this wonderful event. It wasn’t long before I honestly could not do much with my fingers, even with the hand warmers. So, I just couldn’t take any more pictures, but I felt I captured the ones that I wanted anyway. Thus, I resorted to sitting back, stuffing my hands in my pockets with the hand warmers and enjoying the rest of the eclipse. I hope you had a chance to see it. If not, I hope that these pics help and that you take advantage of the upcoming ones. It isn’t everyday that you find good barbeque parked on a side street in an empty part of town. 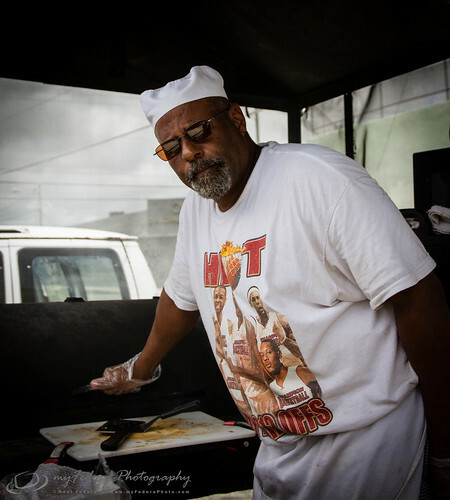 But on this beautiful Sunday, we stumbled upon proprietor and grill master, Mark Gibson’s BBQ-2-Go mobile barbeque establishment in Miami Florida’s well known Wynwood Art District southeast of I-95 and I-195. We had been driving around Wynwood for a couple hours , taking pictures of the amazingly colorful and artistic graffiti, when we turned down NW 2nd Avenue and saw a black cage of a trailer that was transmitting smoke infused with sweet carnivorous barbeque smells. Having already eaten a few hours earlier, eating again wasn’t terribly high on our to-do list. But, how can you pass up a barbeque stand that you fortuitously stumbled upon in the most unexpected of places?! Portrait of the BBQ-2-Go proprietor and grill master, Mark Gibson. 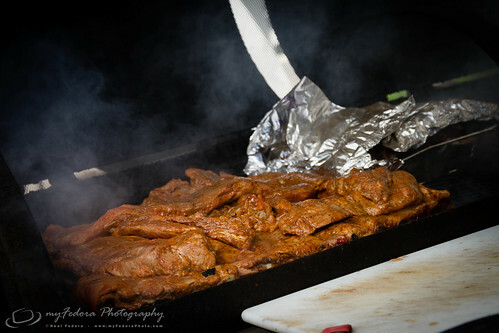 The scrumptious meats on the barbeque pit. Possessing an affinity for pulled pork sandwiches, we elected for pork. Mark removed a large meaty morsel from under the foil and began chopping it up with his cleaver from the Dexter television show. He then proceeded to give us a paper bowl, opened the bun up and dumped his surgically chopped pork on top. We were then faced with the crossroads of selecting which of Mark’s homemade barbeque sauces to complement this pork sandwich. Posing this quandary to Mark, he quickly responded with “Have the Gangsta Gold.” Yes, that is correct, Gangsta Gold. What a fantastic name and tasty mustard based sauce. It had a sweet, tangy and mild mustard taste to it. Pulled pork barbeque sandwich covered in “gangsta gold” barbeque sauce. The seasoned and sauced up ribs cooking on the grill. Really fantastic. The pork was tender, not too dry. Really well done. 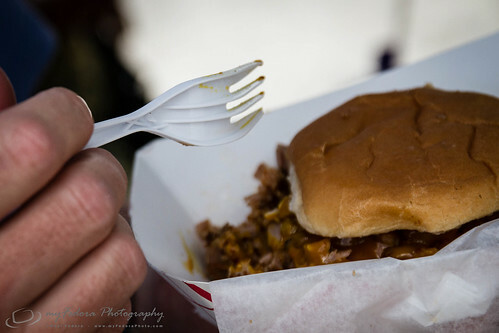 Unfortunately we didn’t try any of his other barbeque creations, but the sample that we did have was very well done. 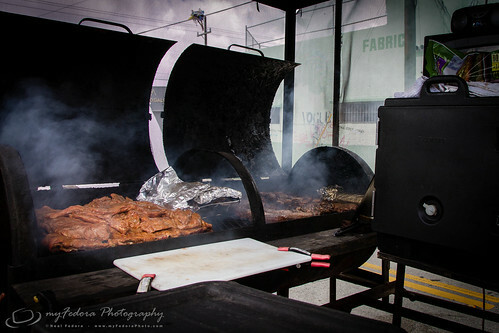 So, if you see a smoking mobile barbeque stand around Miami, Florida and you aren’t vegetarian, stop by and try it out. 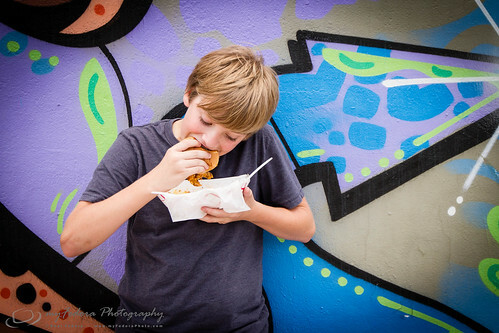 After visiting Mark Gibson’s BBQ-2-Go mobile stand, my nephew indulged in the pulled pork sandwich with its “gangsta gold” sauce. At some point, you may need to know how many times the shutter of your Single-Lens Reflex (SLR) digital camera has been opened and closed. Sure if you bought your camera new, then you may be able to look at the number of pictures on your PC and guess roughly how many times the shutter has been triggered. But this method is crude at best. This information is logged however in the camera and certain utilities can be used to access it. After having my Canon EOS 7D for over a year, I decided to sell my Canon EOS 40D. Great camera, but it ended up just sitting on my shelf for too long after having the 7D and I came to the realization that I just didn’t need it now or in the near future. So, I decided to sell it through Amazon. As part of that though, I did feel that it was important that I accurately present the usage of the camera, specifically the shutter count as the body was in good shape. Thus, I sought out a program that could read the shutter count of the Canon EOS 40D (review from DP Review). After a good deal of research, I found the program EOSInfo which works really well with the older camera bodies, such as the Canon 40D. The Canon 40D has an estimated shutter life of 100,000 cycles, which is a ton of captures. My Canon 40D came in at less than 8% of that with a shutter count of 7411. Sadly, I thought I took more pictures than that. Here’s a screenshot of the EOSInfo program though. After selling the Canon 40D, I was a bit curious if there was a program that also worked with the Canon EOS 7D. The DP Review mentioned EOS Count as an online alternative for measuring the shutter count of some of the newer EOS bodies, such as the 60D and 7D. I have not used it personally at this time, but it may be worth checking it out if you are interested as the reviews did indicate success with them. You would think that this information would be available through the camera, so hopefully this helps you obtain the shutter counts of your digital SLRs. Happy shooting friends. The much anticipated Canon EOS 7D firmware 2.00 update is here! Released on August 6th, 2012 for download, this firmware update delivers several enhancements to the already very capable Canon EOS 7D. The Canon EOS 7D Update delivers the following new features, improvements and capabilities. 1) Shooting up to 130 JPEG Large/Fine and 25 RAW images at 8.0 frames per second (fps), which is up from 126 JPEG Large/Fine and 15 RAW images at 8.0 fps. 2) Compatible with the Canon GPS Receiver GP-E2 for instant geotagging of your photos instead of post-production geotagging using Lightroom or external GPS logs. 3) Enables manual control of sound recording levels. The recording level can be manually adjusted to one of 64 levels, for full control of your audio recording for your high definition videos. 4) When using M, P, TV, AV and B modes, users now have a choice of setting the maximum allowable ISO, up to ISO 6400 so that your Canon 7D can optimize your ISO settings to ensure that your exposure ideal for your given user settings. 5) Improved EOS 7D’s RAW image processing for your P, TV, AV, M and B modes. The improvements include RAW optimization in the Canon 7D without a computer of White Balance, Picture Style, Auto Lighting Optimizer, High ISO Noise Reduction, JPEG Quality, Color Space, Lens Peripheral Illumination Correction, Distortion Correction and Lens Aberration Corrections. 6) The Canon EOS 7D can now resize your JPEG “L” and “M” images and save them as separate JPEG “M” and “S” images, thus saving time in post production conversions. 7) Users can now add 0-5 star ratings to their pictures within the Canon 7D, which again saves time in post production when reviewing and rating your photos after the shoot. 9) Users can now customize their file names by specifying th efirst 4 characters of each file name, replacing the default ‘IMG_’ that we have all grown used to. 10) Finally, changing the time in your camera is as easy as just selecting the specific timezone that you are shooting out of. A very useful addition and one that I could have used a few times. I was thoroughly impressed by the improvements. It’s an evolutionary transition where the consumer can expect more enhancements than ever before as more features are implemented in software. So you have the Canon EOS 7D, now how do you update your camera firmware? First, you need to download the Canon EOS 7D Firmware Update. Next, you can either copy the firmware to either the Compact Flash (CF) card or install it from the computer using the Canon EOS Utility. Since I was working on some studio shooting using the tethered Canon EOS Utility, I preferred to install it through this utility instead, which was an easy install with no issues. Just follow these steps from my install, or take a look at Canon 7D Firmware Update – English. 1) Start the Canon EOS Utility software. 2) Go to the ‘Camera settings/Remote shooting’ option. 3) Select the Setup menu by clicking on the wrench/tool setup tab. 4) Go down to the firmware, in this case Firmware Ver.1.2.5 below the ‘Live View/Movie func. set.’. Click on it the Firmware text. At which time, you will then have an option to update the firmware if your firmware is older. 5) Select OK and then browse to the firmware you downloaded earlier. Select the updated firmware version. The current version is 1.X.X (mine was 1.2.5). Select the Canon EOS 7D 2.00 firmware 7D000200.FIR from the download folder on the Windows PC. Select ‘Open’ and start the installation. 6) Then follow the instructions on the pop-up, as shown below. Press the ‘Set’ button on the Canon 7D, which is the round middle button on the control disk. You are then asked if you want to confirm, click ‘OK’. 7) It then proceeds to update the firmware. The installation of the firmware from the PC via the USB cable took just over 7-minutes to copy and install the firmware on the Canon EOS 7D. 8) After the installation, power off your Canon 7D and remove the battery for several seconds. I left them out for a few minutes just to ensure that any stored capacitance is discharged. 9) Install the battery and power the camera back on. In the Canon EOS Utility you can confirm that the firmware has been successfully updated as shown below, which is now Firmware Version 2.0.0. 10) You installation is now complete! Now, just enjoy these great improvements to your already fantastic Canon EOS 7D camera! [Update on 01 October 2012] Since the 2.00 Firmware release, Canon has since released a few updates. The current latest is 2.03, released on 12 September 2012 and contains a few bug fixes only. There are no new features. Information on the update can be found on the Canon Rumors Website in the Canon EOS 7D Firmware 2.03 article or Canon’s 2.03 Release Notes Website. You can download the latest Canon EOS 7D firmware from Canon’s 7D Support Website.